Sputnik spoke to Adam Garrie Director at Eurasia Future on the impact President Putin has had on Russia and the challenges he faces in his next term. According to preliminary results the Russian Central Election Commission says the overall turnout was over 67%. The Second place was taken by Pavel Grudinin with just over 11%, while third was taken by Vladimir Zhirinovsky with roughly five and a half percent, and Ksenia Sobchak placed fourth, with about one and a half percent. The figures released by the Electoral commission show that more than 73 million people cast their ballots. With more than 56 million votes, it was Mr Putin’s biggest ever win in a presidential campaign. His latest victory will take his political service in Russia to nearly a quarter of a century, until 2024. Sputnik: This was his biggest win in a Presidential campaign, and he’s set to be in office till 2024, what impact has he had on Russia to be so popular and in office for so long? Adam Garrie: Well the main thing that President Putin has been able to achieve over his Presidential terms and his single term as Prime Minister, was to fix the economy of Russia from one that was a basket case, one that was cutting the life span of Russia, one that led to suicides and a drug problem to an economy that is stable and has allowed people to return to a sense of normalcy. This has allowed Russians to become more prosperous and an economy that has avoided the peaks and troughs which was associated with the terrible state of the Russian economy in the 90’s. 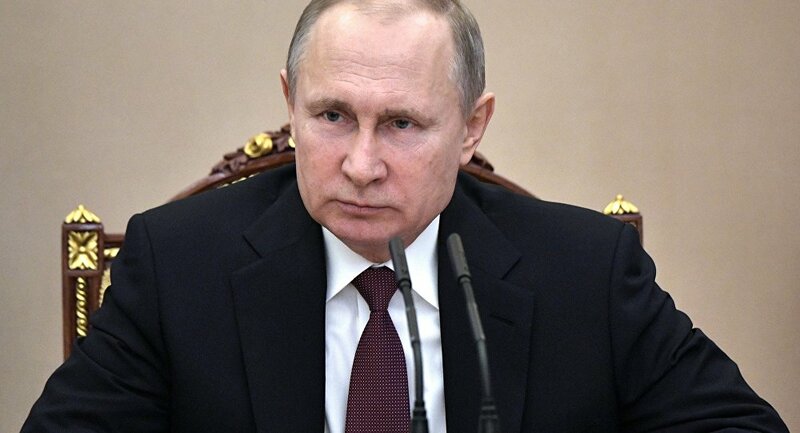 Putin’s main legacy for Russians is that he created a Putin economic miracle, where he increased the GPD, stabilised the economy, got the business Oligarch’s that were ravishing the Russian state under control, improved various public projects through investment, roads housing etc. Sputnik: What challenges does President Putin face in this term to improve Russia? Adam Garrie: Positive foreign investment is crucial for the economy and that’s where Putin’s close relationship with China’s President Xi Jinping comes in, both congratulated each other on their recent victories. With investment from China and the rest of the Eurasia economic union, I think that we could see Russian businesses working with both domestic and foreign investment to build more houses, build more roads and more high speed rail. So it’s these kinds of projects that involve regional partners and traditional allies that will ultimately benefit the economy very much. Sputnik: How can he improve international relations, especially with the west as no western leader has congratulated his victory? Adam Garrie: I think that very much the ball is in the court of the Western leaders, Russia has always said it doesn’t have an innate hostility toward the West, it is perfectly willing happy and able to do partnerships with business commerce, in energy with Western countries. It’s the Western leaders that are putting a phony ideological war which is designed to retort Russia’s economic progress, despite the fact that Western business leaders want to do business with Russia in the same way they want to do business with many other countries. All Russia can do is emphasis that business men of all shapes and sizes from high network to medium size businesses want to do commerce in Russia and with Russia. In emphasising that Western governments might get the message that the campaign of hate against Russia is bad for everyone.